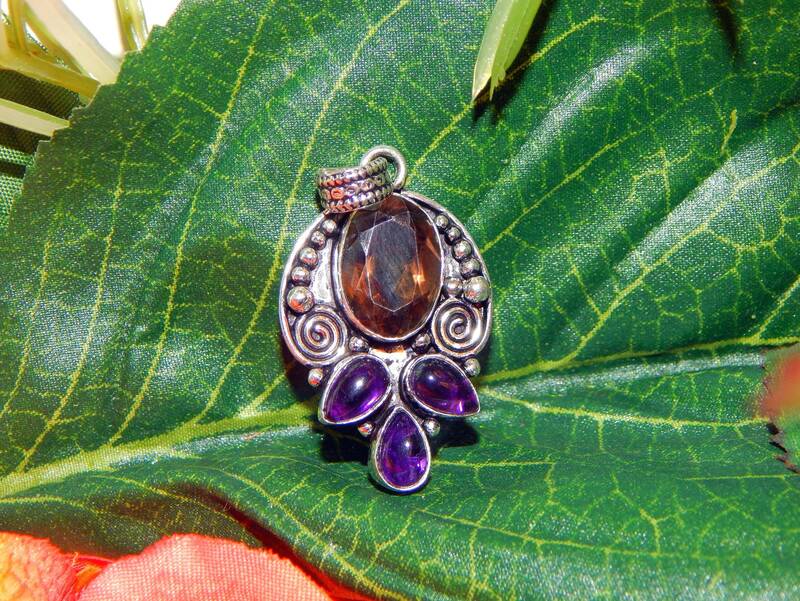 An alluring multi-stone pendant featuring a trio of Amethyst stones and faceted Smoky Quartz within sterling silver setting. 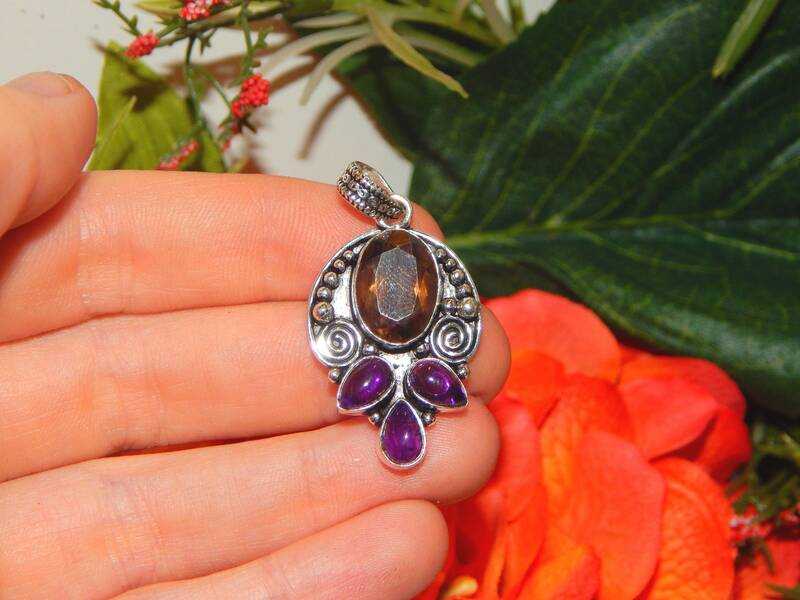 Authentic statement piece jewelry vessel inspired by the essence of the Goddess Hecate. 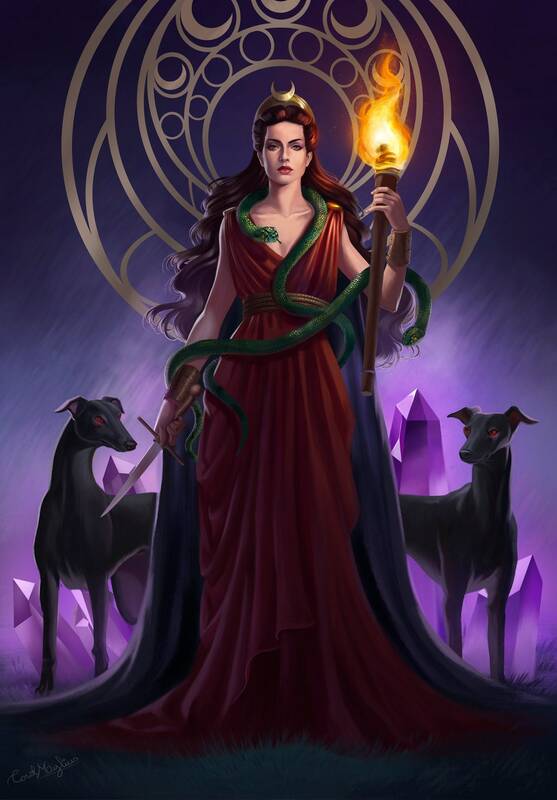 Hecate is a Goddess whom is considered a protectress of women, illumination and mistress of crossroads and patroness of witchcraft and magick. Note that in Hindu texts, Devata means 'focused powers of a deity' often linked to sacred items, places and things; similarly the term Deva often refers to the essence of the deity, which facilitates direct contact and invocation.